To say that these past seven days were bullish for crypto would likely be an understatement. Fidelity and Goldman Sachs, two prominent Wall Street giants, doubled-down on their cryptocurrency efforts, while already-established companies in this industry continued their unbridled expansion efforts. 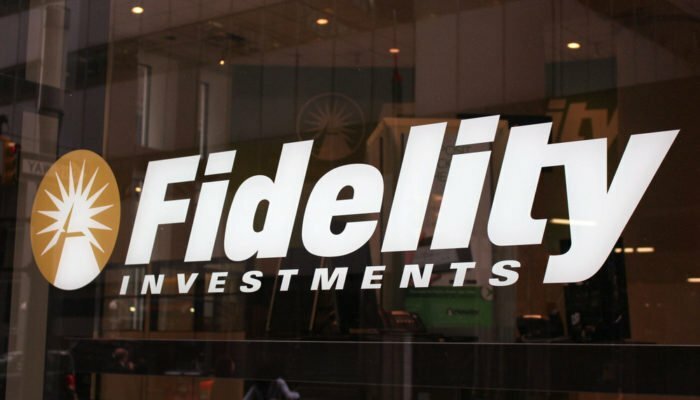 On Monday, Boston-based Fidelity Investments revealed that it had formally entered the crypto market through the establishment of Fidelity Digital Asset Services (FDAS), a subsidiary solely focused on offering products that pertain to digital assets, such as Bitcoin and Ethereum. FDAS, which is headed by Tom Jessop, is slated to offer top-of-the-line cryptocurrency custody for Fidelity’s 13,000 institutional clients. The custody solution, which will secure digital assets through a complex cold storage system that utilizes physical and cyber components, will support Bitcoin, Ethereum, along with an unnamed variety of altcoins. Along with offering custody, Fidelity’s cryptocurrency offshoot will reportedly handle trade execution for its clients, aggregating data on exchanges that comply with the so-called “Fidelity Standard,” before executing transactions on behalf of its clients. While the details surrounding the proposed products were scant, as put by Fidelity CEO Abigail Johnson, FDAS’ goal boils down to “making digitally native assets, such as bitcoin, more accesible to investors.” Johnson added that she expects for her firm to continue experimenting with this “emerging asset class,” clearly alluding to her belief that there are long-term prospects for the blockchain innovation. As this news spread like wildfire, Brian Kelly, CEO of BKCM and a CNBC contributor, called this news “fantastic,” later adding that this development could entice other institutional household names to foray into the cryptosphere. But, for now, it seems that prospective FDAS clients will need to sit on their hands and wait patiently, as this startup hasn’t indicated when its first product will hit the streets, nor when FDAS would open its doors to retail investors. Just days after Fidelity launched its crypto-centric subsidiary, Goldman Sachs doubled-down on its involvement in the industry, joining hands with Galaxy Digital to invest in BitGo, a Palo Alto-based cryptocurrency custody startup. Goldman and Galaxy reportedly invested $15 million collectively, while Craft Ventures, DRW, Valor Equity, and Redpoint Ventures, the other participants in BitGo’s Series B fundraising round, contributed $42.5 million. According to the press release pertaining to the matter, the funds raised via this round will go towards BitGo’s planned “$1 trillion crypto wallet,” likely referencing the startup’s goal to offer custody support for major clients across the globe. The American company is currently responsible for 15% of “all global Bitcoin transactions” and $15 billion worth of monthly transactions across dozens of blockchain networks, which aren’t figures to scoff at. While Goldman Sachs seems over-the-moon about the investment, it still isn’t clear how BitGo’s custody platform will slot into the financial institution’s plans to offer cryptocurrency-centric products and platforms. Further acknowledging its role in the nascent cryptocurrency and blockchain world, the U.S. Securities and Exchange Commision (SEC) recently announced the launch of the Strategic Hub for Innovation and Financial Technology, known as “FinHub” for short. This new portal will reportedly facilitate discussion pertaining to the development of fintech technologies, allowing the public, regulators, and industry leaders to interact in a healthy environment to further the adoption of promising innovations. It is important to note that FinHub isn’t solely focused on crypto assets and blockchain technologies, as the strategic hub will take a focus on artificial intelligence/machine learning, automated investment strategies, and digital marketplace financing, which are all booming sectors in their own right. Along with providing an environment for open discussion, per a press release, the SEC-backed FinHub is looking to plan a “FinTech Forum” event that will be focused on distributed ledger technologies (DLT) and digital assets for a date in 2019. Coinbase Opens Dublin Office: Amid growing Brexit concerns, San Francisco-based Coinbase has just opened up an office in the capital of the Republic of Ireland to complement its existing London location. Zeeshan Feroz, CEO of Coinbase’s U.K. branch, explained that this expansion has been made in a bid to “look for ways to better service Coinbase’s customers.” Along with working hand-in-hand with the London office, the recently-established Dublin location will be integral in Coinbase’s attempts to offer service in the E.U. post-Brexit, which is rapidly approaching. Ethereum To Delay Constantinople Hardfork: After months of development and a failed testnet integration, the Ethereum Core developer team has decided to delay the Constantinople hard fork, which was originally scheduled to hit the Ethereum mainnet in late-November. As explained by Afri Schoedeon, a developer at Parity, there were a multitude of consensus issues that appeared after Constantinople, the name given to the next Ethereum blockchain upgrade, was activated on the Ropsten testnet. According to the project’s development team, the blockchain upgrade, which is still slated to reduce block rewards and to potentially introduce the ProgPoW consensus mechanism, has been delayed until Q1 of 2019. Journalism Blockchain Startup Civil Cancels ICO: Just a week after bagging a strategic partnership with multimedia legend Forbes, Brooklyn-based Civil has sadly canceled its ICO after failing to reach its $8 million soft cap. But it isn’t all doom and gloom for the blockchain-focused journalism startup, as Civil has still inked a deal with ConsenSys, the Google of the blockchain industry, that will see the latter organization invest $3.5 million into the former. With the use of its now-stocked up war chest, Civil intends to launch a second ICO, while releasing a blockchain-publishing WordPress plugin, a “community governance application,” and a developer tool for utilizing data gathered by the company’s journalistic operations. So while a failed funding round may have spelled the end of any other crypto project, Civil’s drive for innovation likely only rose exponentially after its original ICO went kaput. Genesis Global Lends $553M In Crypto: Genesis Global Trading, a wholly-owned subsidiary of Barry Silbert’s Digital Currency Group, recently revealed that its institutional-focused crypto asset lending program had lent out over $553 million worth of crypto assets since the start of March. According to a report from the startup, over 60 institutional counterparties were responsible for requesting the loans, which spanned “dozens of digital assets,” indicating that there are still many institutions interested in this asset class.